As we saunter into the new year, our never-ending need to strive to be better versions of ourselves is of utmost importance when it comes to our resolutions. Exercising more regularly, starting on a healthy diet… the list goes on. But let’s be more realistic — when it comes to fulfilling our resolutions, most of us, for that matter, end up losing our drive and we fall back to being lazier versions of ourselves, especially when it comes to makeup. Introducing the popsicle lip trend. Now, this trend may not sound new to some, but it certainly is the ultimate lazy girl’s go-to look when it comes to looking effortlessly chic and polished (without even trying). Essentially, this trend involves applying a lip tint in the centermost part of your lips and smudging it out with your fingers for a gradient-like finish. It’s the kind of stained look you’d get after eating a popsicle — it’s lighter on the outside and fades into its true colour on the inside of your lips. Revlon Kiss Cushion Lip Tints, $21.90 each. Available in-stores at Watsons, Guardian, Sa Sa, major departmental stores and online at Lazada and Shopee. To snag this look, try Revlon’s new range of Kiss Cushion Lip Tints. 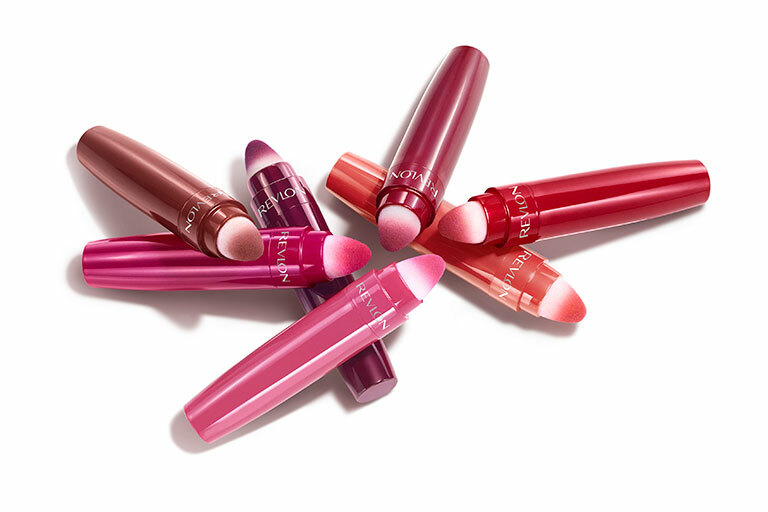 These revolutionary lippies make exceptional additions to anyone’s makeup stash, especially if you’re looking for an everyday lip colour to pop onto your lips. Designed with a cushion tip that glides seamlessly upon application, these Kiss Cushion Lip Tints apply like a gloss with buildable colour for you to go as sheer or as bold as you’d like. If the popsicle lip trend doesn’t tickle your fancy, you can always swipe on more layers for a more pigmented lacquer finish. Revlon Kiss Cushion Lip Tints in 8 shades: Berry Lit, Crimson Feels, Extra Violet, Fancy Rose, High-End Coral, Naughty Mauve, Pink IRL, and Wine Trip. We all know how important it is to stay bomb while beating the summer heat in Singapore — and so, if you find yourself having to deal with dry, chapped lips, or if you’re not a fan of matte lipsticks, then these new lip tints might be your new match. Plus, they come infused with coconut oil to keep your lips healthy and hydrated ’round the clock so dry, chapped lips would be the least of your worries. And if you’re curious to find out more about Revlon’s new Cushion Lip Tints, drop by any of the 5 selected Guardian stores below to enjoy exclusive promotions and stand a chance to win $120 worth of Revlon products! 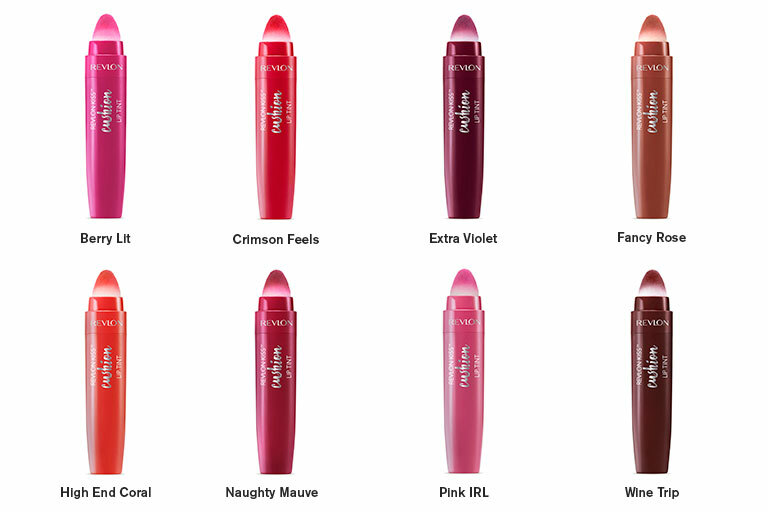 Shop your shade at Watsons, Guardian, major departmental stores and online! Revlon Kiss Cushion Lipsticks ($21.90) will be available in-stores at Watsons, Guardian, Sasa, major departmental stores and online at Lazada and Shopee.